The Sewell Greenway at Dunstable Cycle RouteThe Sewell Greenway provides a delightful route for walkers, cyclists and horse riders to escape into nature. Built on the old railway line between Stanbridgeford and French's Avenue in Dunstable, the land is a County Wildlife Site boasting diverse flora and chalk grassland habitats. 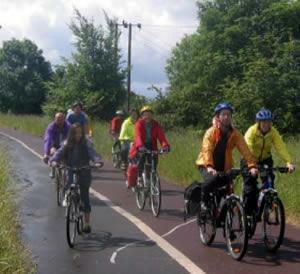 The Sewell Greenway provides a delightful route for walkers, cyclists and horse riders to escape into nature. Built on the old railway line between Stanbridgeford and French's Avenue in Dunstable, the land is a County Wildlife Site boasting diverse flora and chalk grassland habitats. How to get there by car/Parking: Dunstable is just east of Junction 11 of the M1, on the A5. There are car parks in Dunstable.